I remember our first home gathering as a couple. I was over the top excited to welcome our friends. We lived in a tiny apartment, but it had its own door out onto the grass, so it felt like just a piece of it was ours. It was a casual affair – paper plates, potluck style and low key ambiance, but I wanted to start our lives together inviting people to join in our next new step and affirming that our doors will always be ones of welcome. Buying a home is the beginning of an exciting new adventure. Countless memories will be created there, so it makes sense to start things off with a fantastic housewarming party. If you’ve never hosted one before, no worries. Throwing a fun and stylish celebration is easier than you think. Just let your new home be the star and remember that the focus isn’t just to impress your friends, it’s to invite them to share your new life with you. While you don’t want to wait months, it does make sense to host the party as soon as possible. It’s such a spectacular motivator for getting those boxes unpacked that otherwise might sit there for months, ah, in my case, years. Maybe even be thinking of it before you move, so you have a goal. I need goals for unpacking – always. Give yourself time to decorate and hang some blinds, but don’t feel it necessary to have everything perfectly in order with magazine worthy decor. No one needs that pressure. Scheduling a housewarming for one month after your move is generally a good rule of thumb. When we first built our home, I hosted a baby shower two weeks after we moved. I was so happy I did that because I got the downstairs unpacked immediately. I didn’t worry about the upstairs one bit, I had boxes stacked in corner, but the living space was functional. The great thing is that people understand and the boxes just people at ease. For an extra special welcome, make an adorable banner using my free Banner template with all the letters and fonts you can imagine. Take inspiration from your new home to guide your preparations. 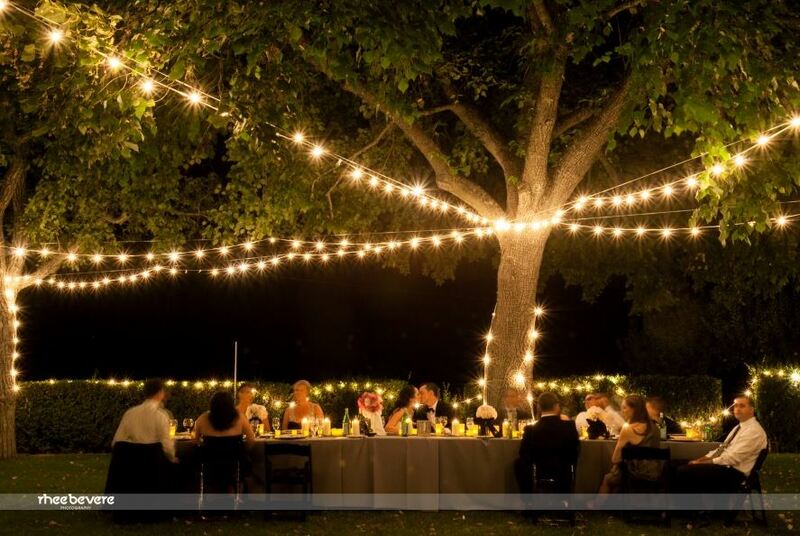 If you moved into a smaller home with a beautiful yard, highlight the yard with outdoor lighting. Simple, yet elegant and allow the evening lights set the tone. Are you a city dweller with a brand new condominium in a sleek high rise, then it would be fun to host an elegant affair. Think about a wine and cheese selection (try my amazing marinated cheese appetizer) with sophisticated piano music in the background. For most of us, that it not our reality. We want to keep it more casual and by adding just a few fresh flowers, candles and easy to prepare snacks, you can create a cozy and inviting atmosphere without much stress. Think mini chicken pot pies, baked potato soup, and mini pecan pie bites. Of course, the menu can be as simple or complex as your inclinations. Making some hearty sandwiches and cookies is always a hit, and you can work wonders with shortcuts like frozen meatballs and refrigerator biscuits like my Chicken, Cheddar & Broccoli Braid. However, don’t forget about the beverages. Lay out a good selection including sodas, juices, and for a refreshing twist, try my Watermelon Margaritas. 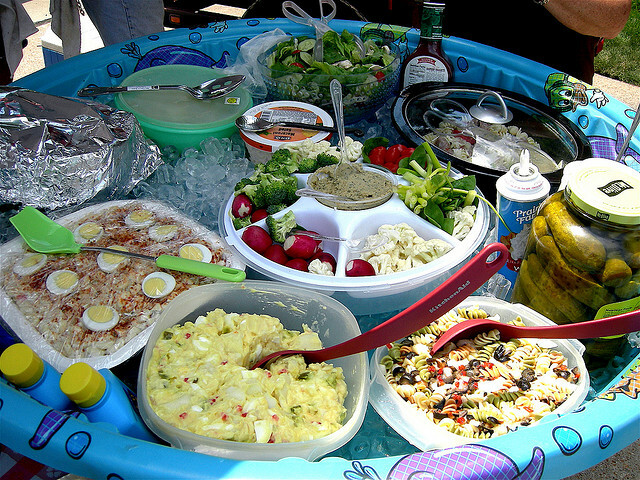 If you are entertaining in the summer, check out these creative party ideas to keep things cool. Numerous friends, family, and coworkers have been hearing about your new home, so they’ll be excited to see your new place. Also use this as an opportunity to turn acquaintances into friends, as well as meet some new neighbors. Make a list where you can keep track of who has RSVPed and how many guests are in each group. This will make planning food and drinks much easier, but know that many will just show up without an official RSVP. Whether you choose to send electronic or paper invitations, get them out as early as possible. This gives people time to check their schedules and let you know if they’ll be able to attend. Consider making your event an open house during which you’ll be home at a certain time frame to entertain guests whenever they arrive. These are always fun and flexible, and make it easy on you and your guests. If you prefer to keep things shorter, just be sure to note the party’s hours on the invitation. A home is always a work in progress. Your new home is the star attraction and while you may want it to sparkle inside and out, pick your battles. It may make sense to do a thorough cleaning in the days leading up to the party. If that seems overwhelming, just focus on whisking some clutter out of sight and eliminating the messes that really bother you. I have a few 15 Minute Cleaning Checklists for both Kitchen and Bathroom to help. Make sure you think about making the big rooms accessible for all your friends. Provide ample seating, and if you know the West facing windows are a challenge, consider finding Las Vegas shutters which you can install quickly and keep the rooms comfortable. Your guests understand that you just moved. They know your house is still in a transitional phase, and they just want to see where you’re living and an overall tour. This is what people are waiting for. If you plan on hosting a large group, divide and conquer. Consider asking your husband, a close friend or relative to take groups of guests around the house on a tour where they can view all the rooms and the yard. This frees you up to greet people as they arrive, and make certain they have everything they need to be comfortable. People love to hear your plans for the house, so share your dream renovation projects or the ideas you have. You may get some great opinions from people that just might help you make decor or renovation decisions. If you are moving to a new area and want to be creative in not only getting to know your new neighbors, but in making the transition easier, here are some previous ideas I’ve written about. 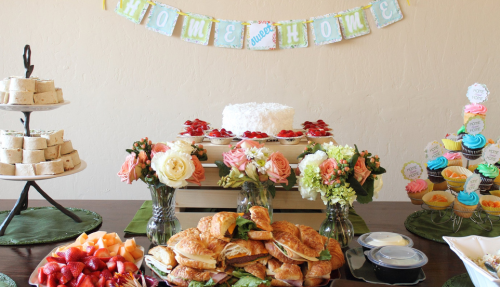 A housewarming party is a wonderful way to introduce friends and family to your new home. Use your home as inspiration to guide the theme and food to highlight the special qualities that made you fall in love with it and just enjoy this new stage of life. Have you hosted a housewarming? I’d love to hear some of the ideas that you incorporated.